What exactly happens to your body when you are suffering from degenerative disc disease? Aging is the most common cause of disc degeneration. 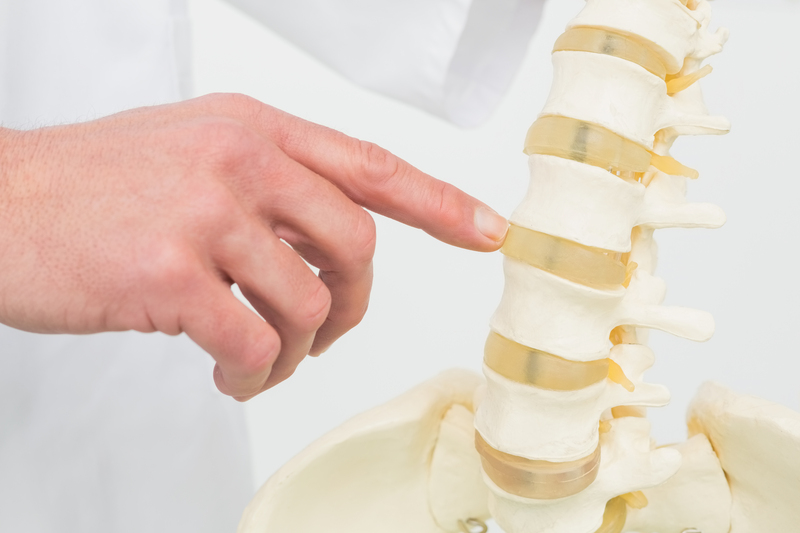 As the body ages, the discs in the spine lose their ability to act as shock absorbers between the vertebral bodies. The bones and ligaments that make up the spine also become less flexible and thicken. Unlike muscles, there is minimal blood supply to the discs, so they lack the ability to repair themselves. The problem with disc degeneration is it’s like an aching tooth. We often only notice that there’s a problem when the condition is acute. Apart from age, the following also contribute: gender, body weight, posture, occupation, injury, diet and to a certain extent genetics too. Phases of disc degeneration and the course of action during each phase. You might feel like your back is stiff/locked in a specific region of your spine. This is what we call the joint dysfunction phase. Joint dysfunction usually starts in your 20’s to 30’s. We use spinal manipulation techniques to get your spine out of the “locked” state that it is in, however if the degeneration is too far developed for the body to repair itself, it might lead to phase 2. Here the body would typically become misaligned, because our bodies try to compromise for the unnatural curvature of the spine. The discs would become out of “normal” position. This stage is typically seen in people between 40-60 years of age due to hypermobility. Pinched nerves, disc protrusion, muscle spasms, swelling, and inflammation are typical symptoms of this stage. At this stage chiropractic is extremely helpful, but it is also vital that the patient do their at home stretches, follow a good diet and exercise regularly. 20% of chiropractic patients are in this phase. In this phase you’ll find mostly bone where the joint space used to be. This is seen in patients usually aged 70 and up. You’ll notice that the spine is stiff and the joints are calcified due to decades of constant gradual deterioration. For a very unfortunate few, the degenerative spurs of the spine press down on the spinal cord and/or the nerves (stenosis), and chronic back and/or leg pain results. At this age, it is possible to have joints of the spine stabilized. Book your appointment online, or call the clinic at 04 348 1166 if you experience any symptoms of degenerative disc disease.